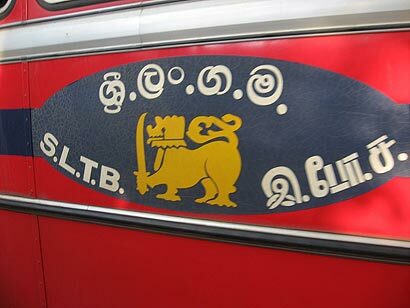 The Sri Lanka Transport Board draws attention of the Public to the special telephone number that has been introduced for the public to forward any complaints related to problems experienced in the bus service. Complaints in this regard can be forwarded to 011-7 555 555. Any complaints realted to the shortcoming of bus services, the malfunctioning of buses and reckless acts of bus drivers and conductors could be forwarded on the above-mentioned number. other such fraudulent activities could also be made on this number. This is to inform you that Rukmalgama buses doesn’t have after 8.00pm from Kottawa.even if the buses comes they said it’s only to kottawa and huge crowed getting troubled. Peradeniya to Kandy bus fare is Rs18. No one get balance Rs 2,if any one give Rs 20. Even he earns lot of money from the passengers balance doesn’t know how to talk. NTC public complaint online service is not working. CTB bus from Monaragala – Colombo via Udawalawa .this bus came to Udawalawa at about 5.50 a.m.,From Udawalawa to Ratnapura conductor did not issue tickets 80% of passengers. (31.12.2015).I complained this to your hotline no also.The person asked me the bus no.He told without bus no they can’t do anything.sorry about CTB. This is to Inform that bus from kalmunai-Amparai(NA-3977) the driver took the bus suddenly while the passengers were getting on and some passengers couldnt get in the bus even there were enough space on the bus.So please kindly take action regarding this. reformed to some extent recently. The time given for a private bus which starts from either Galewela or Matale to reach its destination is 1 hour and 30 minutes. It is sad to say that some SLTB buses in our road are worse than the private buses. ML 107 which departs from Matale at 8.15 am in 585 take nearly 1 hour and 40 minutes which makes the buses that come after that to exceed their time as they have no passengers. The same bus (ML 107) which departs from Matale at 2.15 pm in 585 takes 1 hour and 45 minutes to reach Galewela even though it is crowded with school children. The worst bus in our road is ML 42(NA-2921) which departs from Matale at 4.00 pm in 584. It takes 1 hour and 45 minutes, this fully crowded slow journey is tedious for the people, especially those who return from work. In addition, the bus which depparts from Galewela at 4.40 pm too takes 1 hour and 45 minutes. have no other means of travel. Blaming the people , Students who bringing the season tickets . I am from a village in Matara District. I am a Science Graduate and after 4 years of searching, I got a job in a company in Jawatte road, Colombo. My parents who are farmers in my village found a boarding house in Moratuwa so that I can travel to office. I travel by bus from Moratuwa to Colombo every day; I never get as seat because the bus is always full. What I hate is the men in the bus. They never can keep their hands and other body parts off my body. Always touching and squeezing my body all the time; some even on my private parts and breasts and everything. My brother is in the Army and he went to England for 3 week course and he brought me a full length, 1 inch thick winter coat. That is the only way I can avoid being fondled in the bus. Can’t complain to Conductor because he is also on of them who play with women. What can I do? Only the winter coat is my protection. If your brother is military man he should ride with you in the bus and pick the bus conductor and tell him that he means business if he does not lay his hands off you. Wearing winter coats in colombo is no solution to your problems and I cannot imagine you in a winter coat riding and overcrowded bus in colombo. Petition the transport minister and get it signed by a lot of women and give the bus number so that the culprits can traced. You better make a complaint to the police station ofr the record. Army is only for fighting tamil tiger and not perverts in buses. My brother taking law in his own hands to protect me is illegal. Transport Minister (don’t know who is he) only interest is in buying new buses and cutting ribbon and earning commis. Also, very good at renewing private bus company licence for pagawa. Who care about passenger? Most SLTB and private buses are junk yards; they are not fit to carry passenger safely but they get licence all the time. Most men of all ages travelling in buses are perverts but who cares? Only my winter coat is my protection until, one day, I collapse from heat. Bus is Kandy to galenbidinuwa route no 42 bus number NC-ND 7365 , I am work of RDA . The bus conductor are not kind to people all man and woman having there. Respect How we travel to the bus start to travel at Kandy 10.15pm plz action with the bus. I’ll already looking you action is best of our people. Thank you . I am office passenger going from Pitakotte to Kaduwela. Two times I had to got-down at Thalahena. Because I got in to the Bus at Pitakotte but He came to give the ticket at thalahena. And he command to get down there and he shouted that not allow to go to Kaduwela at his Bus No. is KN 0985 Panadura to Kandy time is running at 7. 45 am at pitakotte. That conductor is get some girl from koswatta to SLIIT and they can travel this bus only recognize persons. Please examine this situation for special passengers in Sri Lanka and any person can travel in CTB bus or should be privatize all CTB. However I inform this situation by meeting the Minister. Please get the action against him. This is to Inform that bus from Kalmunai-Trincomalee (NB-8398) Eravur Depot. the driver took the bus suddenly while the passengers were getting on and some passengers couldn’t get in the bus even there were enough space on the bus, The bus conductor are not kind to people and he blaming season tickets passengers. So please kindly take action regarding this. I am a regular user of luxury bus service via southern highway. In almost every bus they start playing so called “musical show” videos. This is a menaces to commuters who seeks peaceful journey paying high price. These videos are like choka baila full of shouting and screaming. This may be the choice of the driver and conductor but not commuters. They can play useful videos like interesting places in our country or some sentimental music to enjoy. Authorities should take steps to stop this and limit the level of the volume to avoid disturbance to commuters. I am just a one person who uses a bus. I asked tickets from conductor of NC 3557 (a private bus) for tickets but he just ignored. And the driver of this bus also drove away the bus before l got in and nearly knocked me down.l know that there are more serious incidents than this but as a person of this society l must say that this was very unfair.There are thousands of people who’ve been treated unfairly like this.Even though people can take actions by law for this ignorant acts still they remain silent.And l would be very pleased if you add this sentence in front of buses. I travel to ebilipitiya kurunagala and Kegalle. In almost every bus they start playing so called “musical show” videos. This is a menaces to commuters who seeks peaceful journey paying high price. These videos are like choka baila full of shouting and screaming. This may be the choice of the driver and conductor but not commuters. They can play useful videos like interesting places in our country or some sentimental music to enjoy. Authorities should take steps to stop this and limit the level of the volume to avoid disturbance to commuters. These are not buses. These are trucks with uncomfortable seats. I called them cattle trucks. But it suits Sri Lanken public. I dont have to mention particular bus route since i c all over sri lanka..
the morning buses are slow as ever that we can never reach office on time, and they say buses cannot run in right track, but in the evening we see the same bus only running in right and sometimes passenger cant even get down in halts even if passenger wants to get down since they dont want to take to left track to stop cos their timings. if actions take place on the above comments of people, i will not have to , and poeple will not have to type more complaints..
think deep its your children who will follow your leadership qualities. will never bring our country a brighter future. Rout no:602 kurunagala to galagedara. 8.30 pm CTB bus is not working during 3 weeks. There are more buses before 7.00 pm. Please give a bus for us. fear and touching my breast. I was called several time ministry phone number but it is busy now. By the name of semi luxury bus the ticket fare is high. e.g. from beruwala to mount lavia the normal charge is 63 or 65 rupees but semi luxury bus charged 100 rupees from beruwala to mount lavia. Well this is unfair, these semi luxury buses don’t have A/C pls take action. Please make sure this phone number is working all time and its answered properly.today 01.10.2016 the Hatton bus from kany by 12.45pm don’t take peiple to gampola and conductor said its to go hatton and genigathena only and ask me to get into private nuwaraeliya bus. The ctb bis no is NC 0642. Please take action against these type of conductors. What do you expect from a country which have no law, order or regulations. Bunch if lunatics. CTB Bus No.NC 0447 Today I came this bus from Peliyagoda to Manelwatta.When I give the conductor 20 rupees because I didnt knew the charge is 24.he scolded me.He ask me to walk to next halt and get up to bus. Then I took my perse from bag and gave him 4rupees.He told me to go back the bus.I said wait I will put my perse inside and go.Then he told very unprofessional bad word. I m a graduate and a lady manager of a supermarket.I feel shame due to his words.We expect better service from CTB bus conductors because they are government employees.But he doesn’t know how to talk to a lady. Please advice him to not to do this again. Dilhari Rubasinghr You said you are a graduate. In that case conductor did the right thing. He knows that (cram the book and pass the exam) Sri Lanken graduates has no brains. Bus belong to kotmale depo route pudalu oya-Colombo (KOT-44) drives dangerously. Many near near miss incidents happen under this bus driver. please make a necessary steps aganst this driver befour critical accident happens.. Bus belong to kotmale depo route pudalu oya-Colombo (KOT-44) drives dangerously. Many near near miss incidents happen under this bus driver and threatening on me . please make a necessary steps against this driver befour critical accident happens..
On 12th January 2017 at 5.30 am I boarded the Trinco – Jaffna SLTB (Trincomalee Dept) bus WP NC 0802 at Vavuniya to Travel to Kilinochchi (Ticket Ref. 77 22 301 23012). As the bus got near Kilinochchi I moved to the front to collect my bag and get off. The conductor (Mohammad Asmin) who was going towards the back asked me to move forward. So I showed him my bag and informed him that I have a bag and will take it and move forward. He recklessly pulled it out of the rack and threw it onto the bonnet. I was angered and asked him to behave in a responsible manner stating that I had a computer in the bag and he had no business to be so reckless. The driver then demanded that he was the responsible person and that I should tell him what the problem was. When I told him that the conductor had recklessly pulled out and thrown my bag, he replied that that is what they do and that I can complain to who ever I like. I proceeded to argue with him stating that he cannot behave in such an irresponsible way as a public servant and asked him if he would remain silent if I meddled with his bus. As the argument ensured a passenger who I suspect to be another CTB employee assaulted me several times (punching me with his fist in the face) then the conductor Asmin attempted to squeeze my neck and continued to kick me until restrained by the driver and other passengers. At this point I demanded the bus be taken to the police station but the driver and conductor demanded I get off as my ticked was only up to Kilinochchi depot junction where as the police station was the next stop. I then asked for their names and numbers which they refused. Then the passenger who assaulted me removed my bag and put it outside the bus at the request of the driver. I was verbally abused and told that I can make what ever complaint I like but that it will not affect them. I walked a Kilometer to the Kilinochchi and made a complaint IB Ref No. CIBI 373/77 dated 2017/01/12. I also called the SLTB Trincomalee depot manager and informed him of the incident. He has asked me to make a written complaint which I will be doing. I am hopeful that some disciplinary action is taken against these public servants. During the festival days Colombo to hatton bus take to much of money (230 instead of 150) .if we asked they said semi luxury. But there is no any facilities. He neglect for the students/ parents compliants-2017/01/18 Bus used to another trip. This is to inform you that while I was travelling by bus No. 255 route No. wp GQ 8535 on the date 28th February 2017 , the conductor of the bus misbehaved in most insulting manner. I boarded the bus at 8.05 a.m- 8.35 a.m time Katubedda from Kottawa along with other passengers. It was presumed that the bus would follow its usual route. While we were half way, conductor came and asked ticket fee. Then I gave him fee of ticket. But he didn’t issue ticket for me or other passengers. And also he didn’t return my remains ticket balance. So I ask him about that. He said that he will give later. After long time I ask from him about my remains ticket balance. Then The conductor spoke very rudely to me. It’s very hard to tolerate me. I’m lady. It’s very uncomfortable to me. Please consider this problem. However 255 bus route is most worst bus route in the Sri Lanka. I travel so many places in Sri Lanka but I did’t ever see this like bus route. In the morning they can come from Katubedda to Kottawa. But In the evening they take one hour or more than to reach to katubedda from Kottawa. What is this nonsense. It is highly objectionable for a public servant to behave like this. I would, therefore, request you to make an enquire and see that the conductor is given some suitable warning and punishment. iam going to colombo- angoda from hatton. Hatton to angoda bus rate 145.00 but the bus conductor taking full ticket 156.00 rs. I ask to bus conductor he talling after kaduwala taking full ticket this is a rool. Why that rool. Please take action. Today 23 July 2017 NA 8957 bus of Diulapitoya depo is running very slowly from colombo to narmmala. The driver is wasting our valuable time. Drivers like this are not need to our country. If we want to reduce traffic congestion , these bus should be move fast, these days road repairing work, so they are happy and going very slow, If u not then god should punish them. 176 & 138 bus are very fast and good, hope goverment should chase this Mattakulia, Colombo15 buses. After that when I get down for Kalutara I asked. He blamed me I gave u the balance, this ticket is for Dehiwala. There were a lot of crowd at the Kalutara town. These type of guys at CTB earn blackmoney from passengers & make them asheme. Please advise him & train how to talk to passengers respectfully. I don’t know whether you are reading or not,if so ,did you take any action against CTB staff those who not obey the rulrs accordinly?it does seems to me you are not, because conductors never give change and their bad behaviour towards the passengers such as shouting and no respect to all age. Yesterday travelling Batticaloa to Katunayake same bus. But today bus ticket 599.00 hand ticket book. Are these jokers bus conductors helping passenger or f******* passenger? In Lanka, there is a Weinstein in every bus and in every office and in every shop. Complain about mawabella kandy 859424 bus number.the conductor always damage people by using some word.when ask balace money he gets angry so he attack usually by passing hint words loudly,he insult people infront of other pessagers.this bus reach kandy 8.10. Complain about mawabella kandy (i could not remeber bus number).the conductor always damage people by using some word.when ask balace money he gets angry so he attack usually by passing hint words loudly,he insult people infront of other pessagers.this bus reach kandy 8.10. Kandy to Jaffna CTB Sunday 6.40pm bus (Only Jaffna Depot Buses, Not the Kandy Depot Buses) drivers & conductors illegally booking seats for their friends. The bus don’t come to Kandy good shed bus stand directly, it goes to Peradeniya University & loading passengers from there and then only comes to Kandy bus stand although they don’t have route permit to go there. The bus conductors are putting water bottles and saying the seat is booked. We’re going to Jaffna & we don’t have seats. It happened on Nov 27 & again today Dec 10. There should be a legal booking method. Jaffna bus depot drivers & conductors must be suspended from their duties. Colombo to akkaraippattu bus service very poor. it was trouble to passengers. There is a separate station for akkaraippattu. Number is 98 but they stopped the bus at 48 hold. it wes a huge confusion to identify the bus. I’ll report to Ministry Once again. Conductor and Driver And the administration of CTB have the accountability to this meaningless action. Minister of transport don’t be foolish it’s for ur awareness. 177 bus NA9722 they stopped the bus more than 30min in Malabe bus station and also conductors behaviour is also bad. 336 Kottawa buses are keeping more than 45 minute in kottawa bus station and he took another 1 hour to come to Malabe. Kottawa to Malabe is just 30 min ride according to google map even if we walk it takes only 2 hours and 3 minutes. Since this is not free transport government should think about the public as well. ( 48 )Kaduruwela Colombo semi luxury bus which i traveled from Kaduruwela to Peliyagoda was not good.They took too much of time wasting the passengers valuable time.They took about 15 minutes at the waiting area.and they were stopping the bus sometimes to fulfil their needs.Bus left from Kaduruwela at 5.15pm today.It took 5 and 45 mins to travel to Peliyagoda..The time leaving and arriving was not displayed properly.Vehicle number of the bus is WPNE-7549..Though we charged higher bus fare we doesnt recieve a satisfactory service.Please look into this problem and do the needful. This bus doesn’t issue any tickets and bad driving. have stoped passing 02 stops.Because they were on race with other 138 bus. Please take action for these type of pathetic drivers. Please be kind enough to investigate this matter and take immediate action with this regard. I was travelling from Gampaha to Ja- Ela 21-11-2018 and 19-11-2018 at about 12 pm and bus conductor of the bus which was bearing registration no. WP/ND 4500 , charged excessive bus fare for travelling. bus fare from Gampaha to Ja ela is rs.38 but he charges rs. 40 .and this has happened to me all the time when i was travelling in that bus. Conducter is with this practice for all the passengers.please be kind enough to take an action against this injustice. Im an undergraduate in the University of Colombo, Faculty of Law. On 4th December 2018 I was travelling from townhall to Maharaga in a private bus (pettah-athurugiriya- 1/138- 3937). I felt very unconfortable with the talking way of the conductor when I asked for balance 20/=. He used to serve the public very rudely. I requet you to consider about this matter as soon as possible. If not another girl’s right to dignity will be violated. This is my initial step and If you take any legal or some action against his behaviour I will be very grateful for you. Thank you. I got into a 400 bus from Wellawatte that was going to Colombo . Reg. No. ND 8670 and was almost thrown out because the bus was in such a hurry to get away. The conductor was rude and the bus was being driven very recklessly, braking all the time with people standing getting thrown around all the time. This was because there was a 101 bus from Moratuwa coming behind our bus. My stop was Bambalapitiya flats and in spite of my going up to the front and standing near the driver and telling him to stop he just kept driving on very fast without stopping at the halt. I had to keep shouting at him to stop the bus and he too was very rude acting like it was my fault that I didn’t get off at the halt. I managed to get out near Holy Family Convent Bambalapitiya only because the driver had to slow down due to traffic. I’m 67 years old and was scared I would twist or dislocate my arm trying to hang on for dear life. Please investigate and take necessary action against this kind of drivers and conductors. Thank you for your service. The CTB bus number NC 1014 driver is an indiscreet driver. They have been given a separate bus lane, He drives the bus on the way, in the opposite direction. This is a great ailment for other drivers. As he is not allowed to go, he moves the bus to the same chariot as he himself is in the vehicals. I was struck by such a bitter, horrible experience. If my husband did not function properly we would have been a hospital or even died. I kindly request that stern action be taken by such drivers. If this is not the case, these unsettled drivers have repeatedly tried to kill innocent lives. Kelaniya to pettah ctb buses never issue tickets and over charging all the time. Less than RS.5 balance is not returned. Conductors are becoming more worse than the beggers get into the buses. Horrible service. Too loud music. Bus didn’t stop at the bus stand. When I asked the bus driver to stop, he went away without stopping and shouted at me. I want the bus driver penalized for this and an apology ASAP. 9702. & 9174 ctb bus conductors cannot be accepted season tickets from the students. working peoples spending lot of time at bus holt to go home…..
On 14th of march I am a lawyer and I got into the Kattankudy depot Colombo bound CTB bus at 10.15p.m. with my wife who is a doctor and and my daughter who is also a doctor at Arasady Junction Batticaloa.The conductor gave us 3 tickets for all the 3 passengers amounting 1326 Rupees.My wife gave this money in one Thousand rupee note 3 hundred rupees notes one 20 rupee note and one 5 rupee coin and one one rupee coin to me and I handed over this money after counting the money. The conductor bought this money and all of a sudden he exchanged the 1000 rupee note with a 100 rupee note and handed over the money to me saying the money is insufficient.He is a Muslim and talked to me in sinhala language.He bought the tickets back and we are compelled got down from the bus. The bus Number is NB 8356.When I contacted the Kattankudy depot they said the bus is belonging to Colombo depot and the driver and conductor are sinhalese people which is false. The bus is belonging to Kattankudy depot and the driver and conductor are muslims.They refused to give the name of the conductor.Please take immediate action against the conductor. In Earlier Regularly The CTB Bus At 8.00, Departures fromRrambukkana to Kurunegala on Sharp. But Now This Bus Was Cancelled and it’s Started From Katupitiya At Same Time. we are request please re arrange this bus at 8.00 Am from rambukkana to Kurunegala. The conductor of C T B bus from Putlum to Kandy [around 7.15am @ Nikaweratiya] shouted at me indisciplinary way that it was not allowed to travel with Monthly Season Ticket from Nikaweratiya to Kurunegala on this bus. I want a lodge my complain regarding this & I want to know that is there such a rule ? Thank you. This is regardin WP-NH 3081 kottwawa -borella bus. I gave 15 for 12 Rs/= bus fair and eventhough conductor has lots of coins in his pockets and hand he didn’t give me the balance and continuously asked me to give 2 Rs/= instead. So finally I didn’t get my balance.